In woodworking and carpentry, you often need to use nails, screws or bolts to piece things together more firmly. Sometimes, however, the wooden parts can be thin or fragile so using any of these is almost impossible. Instead, you use what everyone knows as wood glue. Maybe one of the most reliable & versatile products in the woodworking market, wood glue provides exceptional results and needs no significant effort to make it work. That’s why you should always go for wood glue as a great option. In this article, we go over the best wood glue selections available on the market so you can eventually pick the best choice. Don’t pause and take a look below! There are thousands of wood glue products on the market, offering thousands of different formulas and effectiveness, but more than half of them are not worth your money. To make it easier for you and to make sure you pick the right one, here we have a selection of the best wood glue you can choose. Take a peek! Wood glue needs to be very easy to use, reliable, waterproof, and incredibly effective for even the hardest of applications. The Titebond III Ultimate is precisely all that and much more. 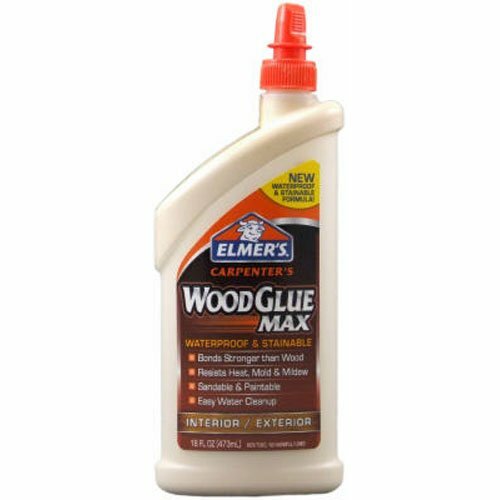 This wood glue comes with a one-part water cleanup feature, which allows you to clean it wherever needed before it gets dry. Yet, it becomes the strongest and most challenging glue to clean-up after dried, even offering a waterproof capacity that makes it incredibly reliable. The HPVA and ANSI rating for strength make it incredibly resilient, with the best water resistant and long-lasting performance you will get. And still, it is non-toxic and capable of working with almost any type of wood without problems. You won’t have any problem using it at all, even when it comes to direct contact with food. All of this comes with a fantastic technology that comes with a first-rate formula in the market. With its advanced performance, you will be able to use it even in the lowest of temperatures and in moist places without problems. The glue is entirely sand-oriented with no softening and comes with a strong initial tack. What’s more, it works in either indoors or outdoors. 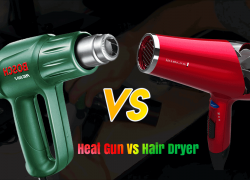 Thanks to a very heat-resistant and anti-solvent formula, you won’t have to worry about anything after using. It even resists mildew, which is a pretty common problem with most glue. 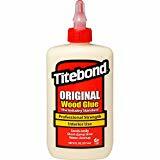 The original Titebond wood glue, perfect for any type of woodworking and outstandingly reliable – you may not have an option as prestigious as this one. With numerous years in the market, this is the preferred choice of many users. 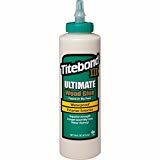 Anyone who has ever done woodwork has probably has used the Titebond 5063 Original. 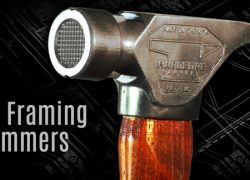 It is the strongest initial tack out there, dries up fast and reduces clamp time exponentially. 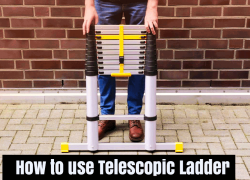 This means it is not only easy to use but incredibly convenient in the long run. The bonding strength is also outstanding, sometimes even stronger than wood. And all that is improved by its excellent sanding capacity and overall resistance to common glue problems. Whether it is heat, cold or just whatever – this glue will stand it all and deliver exceptional results. The glue also produces exquisite finishes, making it look better when used without dripping or awkward effects on the wood. But really what makes it step out from the crowd is its aliphatic-resin formula which resists solvents, mildew, and even heat, and makes it useful for different types of wood. Even more so, you can use it for any porous material you want such as leather or plastic, and you will still get fantastic gluing performance. 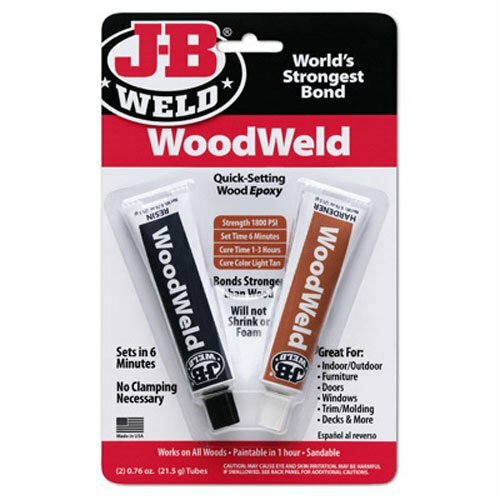 One of the most straightforward to use as well as one of the most reliable, the WoodWeld glue from J-B Weld is undoubtedly an option not to dismiss. Perfect for repairs and high-quality bonding, you won’t get many options at this level. Its formula consists of a two-part epoxy system, which not only provides one of the strongest bonding capacities out there but one of the fastest. You won’t have to spend minutes waiting for the glue to dry up, wasting your time. No, now you can just let the wood dry for a few seconds and then you will have the perfect bonding. When the glue has thoroughly dried or cured, you can even shape it, sand it, drill into it, or also tap it. Whatever you want to do, this wood will let you do it without losing its strength or bonding effect. And what’s even better, it lasts longer than most no matter what you do to it. It is so fast that in just six minutes you will have a strong bond between the two pieces you glue. You can use it on any porous material as well, and you will only have to wait between 1 to 3 hours to get the full-strength and manageable cured state. And what’s even better, it ends up being light and tan, close to most wood colors to avoid problems. This makes it useful for almost all applications from trim and molding to doors, and even indoors or outdoors. 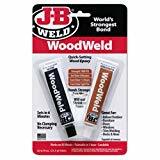 Any woodworker or carpenter who knows what great glue is will undoubtedly have this Gorilla Wood Glue review in its repertoire. A solid, reliable, fast, and utterly versatile adhesive for those woodworkers who want exceptional quality for a fair price. This PVA glue provides one of the fastest performances out there, with only 20 to 30 minutes of clamping. And in just 24 hours you get fully cured glue that keeps your woodwork robust & reliable for years. The exciting thing about it, is that being so well-priced below almost 90% of all wood glue in the market, this one still offers superb resistance. It passes Type II of ANSI and HPVA water resistance ratings and manages to work in almost all types of situations. 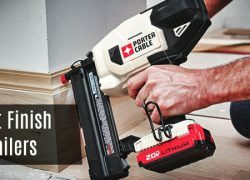 Whether it is exteriors or interiors, in challenging to clamp places or any type of wood from hardwoods to softwoods and more – this glue performs amazingly. The best of all, its color fits any wood and manages to look well and sometimes entirely indistinguishable of natural wood. It is also safe to use with food-related items, due to a very reliable & secure formula. When talking about its performance and dependability for a fantastic price, there’s no other option for you. Gorilla Wood Glue is undoubtedly a perfect choice for those who want low-grade but incredibly useful results. Elmer’s is the go-to option for most people who want exceptional results for a fair price. All its products are just amazing, easy to use and provide a wide array of applications. The Carpenter’s WoodGlue MAX is the best waterproof wood glue as well. The perfect formula in WoodGlue MAX provides the ideal results in every application. It is entirely waterproof and stainable and works excellently well with paint. Its strength is outstanding as well and comes with fantastic resistance towards mold, mildew, heat, and even extreme cold. If you want to use the glue for sanding, it is entirely possible as well thanks to its strong result. 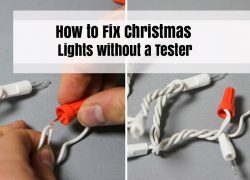 And what’s even better, you can even use it for outdoor or indoor projects without problems. Eventually, if you want to take it off before it dries up, you can also do it. 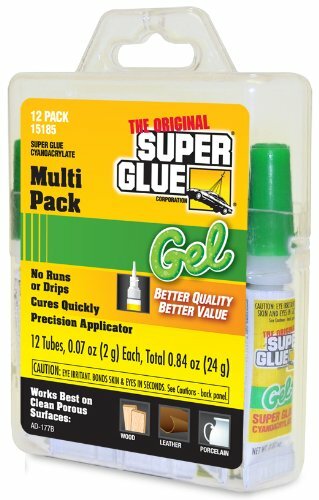 Which means this glue is fantastic in every way, versatile, reliable, and extremely easy to use. What makes this glue better than most is the combination of wood fibers and top-notch glue in its formula. Whether you want it for staining, sanding, painting or simple gluing – this one will perform amazingly well. The glue will hold the pieces even more than time than the parts will last together. This means you get maybe the strongest glue out there that will maximize the lifespan of your wooden objects. Known for its fantastic thickness, the FastCap Super Glue is capable of holding even the hardest of wood parts without problems, for years, and without drawbacks. It’s easily the best wood glue for furniture, and you shouldn’t overlook it. Any woodworker or carpenter knows quality when he sees it, and most of them know that the Activator Combo Pack from FastCap is one of the highest-quality glue out there. Flawless for a wide variety of uses, this glue is ready to start gluing any of your objects whether it is wood or plastic. Its formula comes with a two-part bonding system that works as soon as 10 minutes after application. And even though it is really fast to dry up and start working, this glue manages to stay working for years offering superb strength. The glue resists even the hottest of environments, and any weather condition as well. Thanks to its clamp-preventive performance, it is the perfect glue for joints who demand superior sturdiness. The best of all, it looks fantastic wherever you use it. It gives perfectly-looking results in a matter of minutes and does not need much effort to make it work. If you pick the Activator Combo, you get the thick, powerful glue with the spray activator that reduces curing time to as little as 30 seconds. After that, you will get the bonding strength and reliability no other glue can offer. 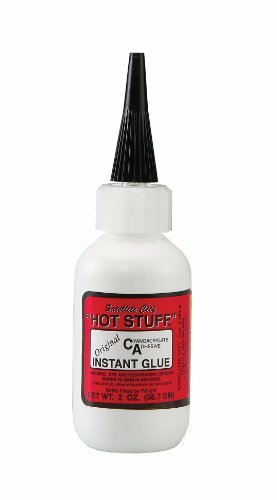 The thinnest yet most effective glue in the market, the Hot Stuff Instant Glue is capable of providing the strongest bonds in a matter of just seconds. If you want superb resistance and strength, this glue is what you should look for. You will find that this glue is slightly more expensive than other options, and it happens because it is entirely better than most. Having a viscosity that makes it look and feel almost like water, this glue offers outstanding results you won’t believe. Just put it on the crack or surface you want to glue in, and let it rest for a few seconds to have exceptional results. Wherever you want to use it from porous woods or non-porous materials such as plastic or even light metals, this glue performs significantly. The adhesive is so thin it can’t be seen after used. Which means you can use it for gluing things together or instead closing gaps, splits or cracks in any object. Its formula is based on cyanoacrylate, which is one of the most resistant & reliable in the market. Getting this bottle of glue is merely getting a product that will surprise and impress you with its results. It even offers the chance to use it on cloth and other think materials without problems, strengthening and gluing things together effortlessly. After applying it, you wait 5 seconds, and you’ll get outstanding bonding. Even thicker glues are not as fast or as effective. Cyanoacrylate resin is the most withstanding and the most potent formula any wood glue can use, and with the additional professional-grade build of this one – it becomes almost perfect. Anyone who prefers quality over anything else will likely find this an ideal choice. Offering premium quality with its cyanoacrylate resin, there’s no doubt that you will get a product that lasts and glues masterfully. 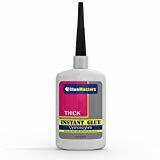 Perfect for professionals who want the best performance of all, this Glue Masters’ product is precious & recommended to have. 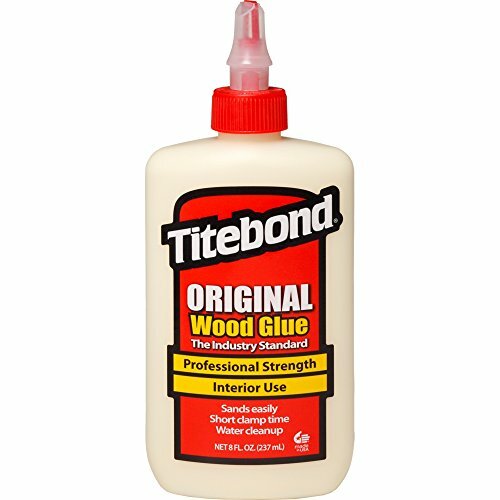 You can use this glue and expect a swift bonding results in a matter of 50 or fewer seconds. Even when you use it in non-porous and harder-to-glue materials, it will act almost instantly and provide exceptional results. The viscosity is also thin enough for most uses and flows amazingly well without making a disaster. It is not unbelievable strong for most common woodworking applications but works well for hobbyists and other less demanding purposes. The real purpose of this glue is to deliver exceptional results without harming the looks of the piece. You can use it on any wood type, plastic or anything else, and never get a glance of where you put it. 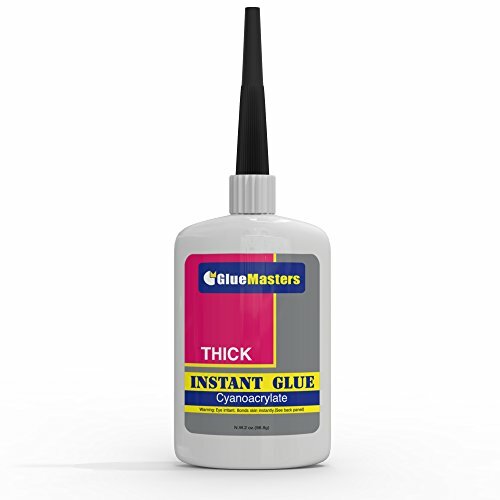 This glue is almost invisible and still manages to last a lifetime without problems. If there’s a wood glue you should always consider buying, it is this one. Not precisely a wood glue to piece things together, but entirely useful to fill cracks and missing pieces from wooden objects. The WoodEpox from Abatron can be your best idea without a doubt. It is perfect for any furniture, sculpture, structural objects, or even decorative elements, doors and windows. You will receive a wood filler more than glue, yet it works amazingly well for any application. It has a very thick and rigid formula which feels more like margarine than liquid adhesive. You can use it either to repair or to piece things together. It is not the strongest out there, but surely it is the most resistant without a doubt. Capable of withstanding anything from weather changes to heat, chemicals, and even impacts effortlessly, this epoxy works marvels. Everyone can get WoodEpox if they want more versatility & a more extensive array of applications, even helping to restore or give life to decorative objects again. And what’s even better, it ends up with a similar result to wood, where you can carve, saw, nail, stain, paint, sand, route, machine and more without problems. The best of all, it hardens in just a pair of hours or less, and its color ends up amazingly uniform which mixes well with any wood. If it does not, you just need to paint it and that’s it. The Gel formula of the SuperGlue 15185 is perfect for a wide variety of applications due to a more active & faster performance. You won’t have the strongest glue, but surely one of the most useful for almost anything. Its gel viscosity makes it entirely easy to use wherever you want. 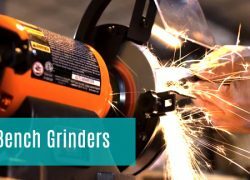 Mainly effective in clean surfaces, you can still receive top-notch results almost anywhere from leather to porcelain to even jewelry and most plastics. Best of all, it works perfectly well with porous or non-porous materials as well. The gel is also very reliable, as it will stay in the place you put it on, offering less dripping and providing a more stable application for excellent results. It is so perfect that you can even use it to fill gaps or cracks in furniture or wooden walls. And no matter where you use it, surely it will last for years before showing wearing signs. Whatever the purpose of getting wood glue, this Pacer technology gel option is undoubtedly one of the best – on China, pottery, aluminum, ceramics, jewelry, wood, and much more. It has a non-color appearance and minimizes overall problems when using as well – so you get an almost perfect product without a doubt. 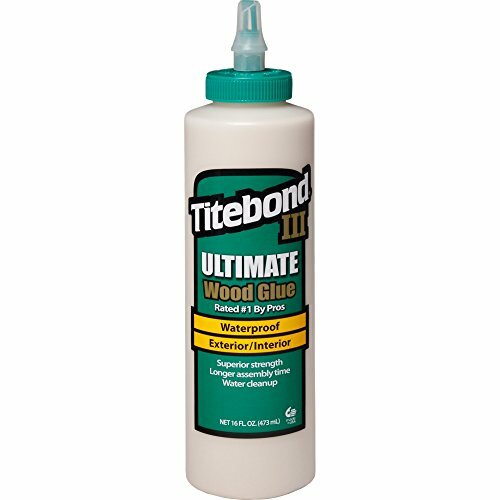 How To Choose The Right Wood Glue? 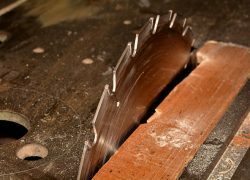 Even though it seems simple, there are little products as complicated as the wood glue is when it comes to purchasing the right one. The tack is the property of all glues to form a bond immediately after applying it. With a sharp tack, you get an immediate bond with the one, two or more things you piece together or clog with. It is always suggested to go for the strongest tack possible, and those glues with more thickness are the ones that eventually offer the best tack. When glue does offer the sanding feature, it means you can mix it with sand or wooden-related grains to give the glue color or a better texture. 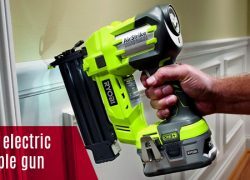 This is a convenient feature to have, and many products come with it, maybe at least 90% of all them because sanding is prevalent in wooden projects. We recommend going for it for better convenience. The bond strength is measured in PSI, yet not all products will show this measure in its package. This PSI measures the amount of tension, impact or peel that is needed to get the glue to break or soften in the applied zone. The more PSI a product has, the more long-lasting and resistant it is to unbind effects. This is the time you have between putting the glue and clamping or piecing the wooden parts together. The more time you have here, the more time you get for moving the parts and calculating the right position before clamping & waiting for the bond to do its work. Similar to strength, the resistance is the number of things the glue can withstand without problems. The most crucial resistance to have is for water, as it is the most common factor to harm glued pieces. Other resistances can be to mildew, mold, solvents and more. We recommend choosing a product with as many resistances as possible. As its name says, this is the time the glue can last being stored in the right conditions and temperature. Of course, regular adhesives can last between 2 to 5 years stored without problems, while others can last up to 10 years or more. However, it is recommended not to let the glue stored for more than one year without using. Even though many experts say white and yellow glues are almost identical despite the color, there are some slight differences you can find among them. One of these differences is that yellow tends to have a slightly better stack than white glues. Despite not being in 100% of the cases, yellow glues may come with an additional chemical that makes them more stubborn after application. Another difference is that white glues are harder & almost useless when it comes to sanding. This happens, also, because white adhesives are softer and with less tack, which means they sand very inconveniently. Yellow glues have a chemical reaction that after being out of the vessel (not applied), they become slightly harder and almost clay-like. When it comes to strength, there’s almost no difference as both may offer amazing effects without problems. Yet, white glues tend to be more fragile towards heat than yellow glues. All these differences, however, are not entirely true 100% of the time. There are no many differences and changes when it comes to glue color. Is a yellow glue is better than white, it may as just well be for the formula that comes with an additional or better ingredient. Most of the time the color is just a marketing strategy to make people think that it works better or that offers an additional advantage. Instead of looking at the color, we recommend finding out the type of wood glue first, as most may come with whatever color the manufacturer decides to choose. In short, you could say that color is not an essential factor when it comes to glues. However, due to use of better chemicals & ingredients in yellow adhesives, they tend to offer slightly better stack, sanding capacity, and sometimes more resistance against heat. We don’t recommend looking at the color of the glue; we instead want you to know what the glue offers, especially when it comes to the type. PVA glues are those that provide a cheap and non-toxic formula, with an easier-to-clean performance and highly reliable tack & sanding effect. You can move it and use it exactly how you want it before clamping or letting its bond and offers typically exceptional strength. The critical thing about PVA is that it is always more effective when it comes to offering a fast-bonding effect with strength and reliability. Maybe an important part to note about PVA glue is that it may leave a kind of appearance in the wood that is hard not to recognize. It does not stain easily, but may be noticeable in the bonding part. Another crucial thing to consider is that PVA is not easy to remove, sometimes almost impossible. Even when you can see it, taking it off or removing it is a total headache. And what’s even worse, you won’t be able to apply more PVA glue in a place with PVA glue. If you are going to use PVA, make sure you won’t have to repair, replace, remove, or work in the same place again. But when the glue is still wet, you can remove it easily with water before its bonds. Another excellent formula to consider, and pretty standard as well – the CA or Cyanoacrylate glue offers outstanding results overall. Not as strong as PVA glue, though it can be pretty handy when it comes to small projects where not much strength is needed but instead a less noticeable mark. 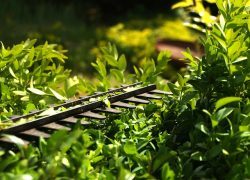 Being sometimes as thin as water, CA can be used by hobbyists, for example, thanks to their almost invisible appearance. CA may also be thick or have a gel-like appearance. In any of its forms, cyanoacrylate dries up fast and provides a stiff-enough performance. One drawback of cyanoacrylate is that being thinner and sometimes liquid-like, you may find it difficult to apply. 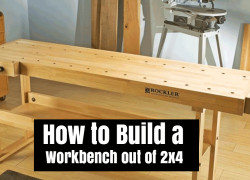 Typically, however, it works amazingly well for small projects where not much resistance or strength is needed. Epoxy is more of a cream or thick gel than glue itself. Yet, it is one of the most resistant and durable out there. Most people love epoxy because it can be used fast or slow and sometimes works for a wide variety of conditions or temperatures. Epoxy, however, offers the advantage of being much more manageable and easy to apply. Many people love Epoxy because it works wonders when it comes to outdoor application and its sanding ability. Wood glue is tougher than the wood itself. That’s a fair and enough point if you want to know why you should be using wood glue in the first place. When using wood glue, there are several factors you need to consider for avoiding common problems and improving the whole gluing process. Before using PVA glue, it is important to clamp the pieces together fast enough to avoid problems. Poly-vinyl acetate dries up quicker than other types, so you must be careful and prepared to use it sooner. CA glue is better for light materials and more fragile projects. It is lighter and does not leave a mark like others. We recommend using a rubber or any other similarly-soft material to spread and put the glue where you need. Even though epoxy glue is often easier to apply, it may leave a very awkward color tone eventually. We recommend sanding it with sawdust from the same wood color to make sure it does not leave an awkward appearance. Open the bar or storage where the glue comes in. Squeeze or take out just enough and apply on the desired joint point. Make sure never to apply more than needed to avoid a mess and badly-looking projects. It is essential to clean the edges and joint points before using the wood. This improves the bond effect, especially if there’s old glue. Maintain both wooden parts tightly firm and unmovable. Use clamps when needed to make sure the bonding process works effectively. While you leave the parts to dry up and bond, clean any excess with a cloth by wiping softly. Whenever you need to move or interact with the glue to insert or put in the right places, use a soft yet reliable material such as rubber or gel brush to avoid a sticky mess. Many people have questions about wood glue that are not commonly answered in buying guides. Here, we take the time to answer some of them. Q: How Do I Know If The Glue Is Still Good After Years Of Storage? A: If you buy wood glue and store it for more than six months, it is essential to make sure it works correctly before using. The typical sign that the adhesive is not in a good state is that it looks rubbery and almost like clay (not epoxy). When it is too viscous even to pour or drip it, likely it won’t deliver the right gluing effect. Q: Can I Freeze My Glue Or Store It In A Cold Place? A: Yes, glue as a liquid may freeze up if the temperature goes below 32ºF. However, the glue won’t have any contrarian effect in its formula or performance. But if the glue looks grainy or loses thickness, very likely it got affected. We recommend stirring the glue or shaking the bottle vigorously to see if it goes to the right appearance. If it doesn’t, discard it. 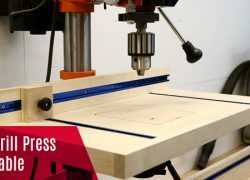 Q: Do I Need To Apply Clamp Pressure To Wood Glue To Work? A: Even though wood glue is one of the most reliable types out there, it still needs a little clamping pressure to make it work. It is recommended to apply just a slight pressure and enough glue to the gluing point. Typically, not much force is needed. Q: How Long Do I Need To Clamp The Glue Before It Dries Up And Cures Completely? A: It all depends on the glue type and the overall formula of the product you pick. Usually, you don’t need to clamp it for more than just a few hours (2 to 5), but many glue options may require up to 24 hours or more to cure completely. It is almost always shown in the product “How To Use” sector anyways. Q: Can I Remove Dry/Cured Wood Glue? A: Yes, it is totally removable and very possible no matter the type. However, wood glue is strong as hell which means you will have a hard time removing it, no matter where or the kind of glue it is. With a heat gun, a chisel/spatula, you can remove wood glue, but it may take a while to do so. Not all glues are the same, and wood glue is maybe one of the most robust and most reliable out there. And of course, like just any other glue, it comes in a variety of types and with factors that changes what the one you need is. But as said before, the best wood glue comes all down to being the one that meets your requirements. So don’t hesitate, and rather, use our help and complete buying guide for a better wood glue selection. You won’t be disappointed!